Senator Bell Farm is a full service hunter/jumper boarding, training and show barn owned and operated by Jessica Hunt and her husband, Brian Nicoll. Senator Bell is a 120 acre farm in Chester, New Hampshire. We are easily accessible from I-93, I-95 and I-495, and less than an hour from Boston, Massachusetts, forty minutes from the Seacoast, and twenty minutes from Manchester, New Hampshire. Jess is an experienced trainer and instructor, developing children and adult riders and their horses at all levels. 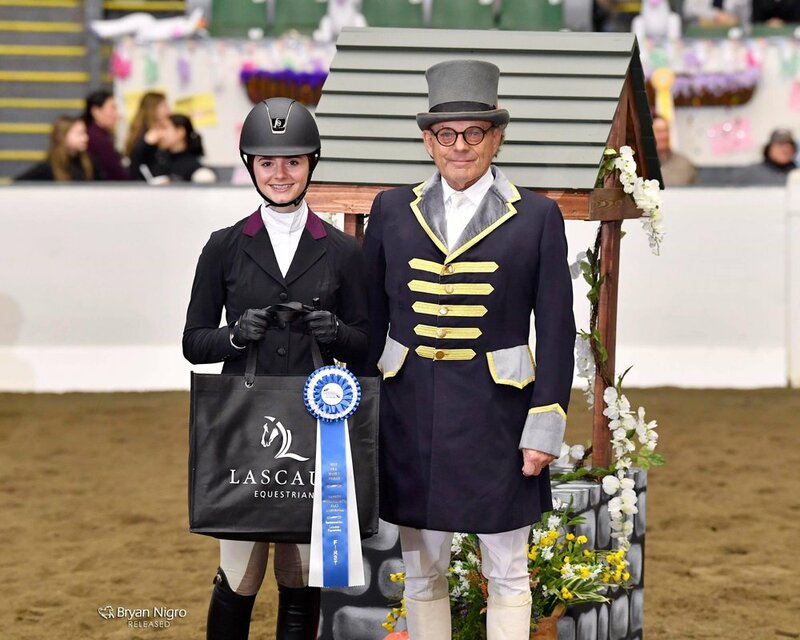 Her students have been successful at shows throughout the northeast, including Capital Challenge, Harrisburg, ASPCA Maclay, and New England Equitation Championships. A strong foundation begins with quality instruction. We provide professional hands-on instruction for the novice to advanced rider and horse in the discipline of hunt seat riding. Lessons are taught by Jess or her assistant, and are available on your horse or one of our horses. Senator Bell Farm has a selection of well schooled, safe and reliable lesson horses and ponies that will accommodate all riders and levels. Ship-ins also are always welcome! School horses are available for half lease, extra scheduled rides in addition to lessons and one day horse show lease. Please contact Jess for more information. The care of your horse is of the utmost importance to us. We treat each horse individually to best meet his or her needs. Daily turnout is provided, weather permitting. Feed and hay is provided 3x/day, and fresh water is always available. Jess will work with you to develop a training program that best suits you and your horse. Trimming, body clipping, wrapping, etc. also are available. Please contact Jess for pricing. Full show services are available and pricing is determined in advance and based on the show. Services available include shipping, braiding, coaching, set-up at away shows, and grooming. Contact Jess for show information and pricing. Senator Bell Farm riders can view our 2018 show schedule here. Senator Bell Farm hosts its own hunter show series every year. 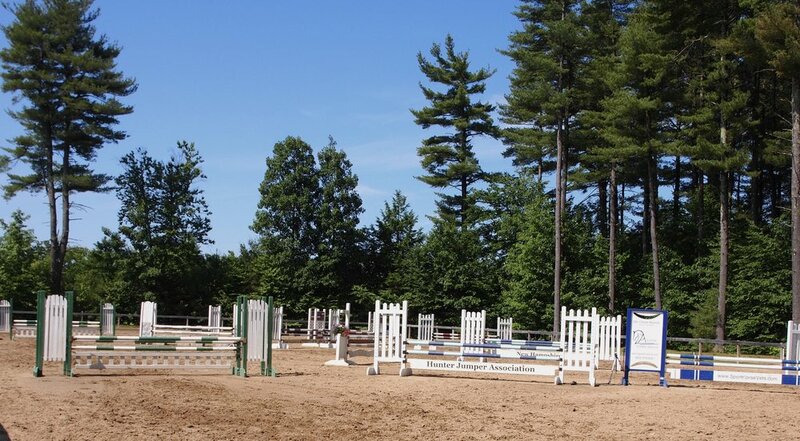 In addition, it is a proud show venue for the New Hampshire Hunter/Jumper Association and the North Shore Horseman's Association. Entry form, timetables, and prize list. Senator Bell Farm proudly hosts the North Shore Horsemen's Association hunter and pleasure show series. For more information about show dates and prize lists visit: www.northshorehorsemens.org. Senator Bell has a competitive Interscholastic Equestrian Association Team, focusing on the hunt seat discipline. Our riders have competed and qualified for Regional, Zone and National finals. Our team is made up of student equestrians in grades 6 through 12. Owning a horse is not required. Senator Bell team riders school on Senator Bell horses at home, and compete on horses provided at the IEA show venues. Riders of all levels are always welcome to join our team.